ConnectNC, Inc. contributes to the community in North Carolina and beyond. Through company and individual employee efforts, we continue to be proactive via local and global Internet altruism. Beth, the founder, also founded Online Patient Empowerment Project and supports Free Health Blogs at www.healthblogs.org. The non-profit organization helps those facing illness or wanting to be empowered to stay healthy share information with others and be empowered by that information. It provides computers to those without the means, to research how to best care for their illness or a loved one’s illness. 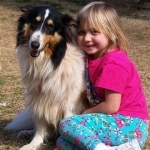 ConnectNC also donates time and resources to animal rescue groups such as the Collie Rescue and Animal Advocates of Moore County. To subscribe to the Animal Advocates Email list to be informed of lost and found animals please click here. The mission of Animal Advocates of Moore County is to reduce the number of dogs and cats that are euthanized in Moo re County by our low cost spay and neuter program, adoption services, and countywide educational programs. (We are very proactive!) AAMC provides emergency medical services to animals hit by cars if the owner cannot pay for surgery. We have a LOST & FOUND program with a 95% success rate.